Whenever I’m planning a weekend away I always look to travel bloggers for ideas and inspiration. I love to read blogger’s itineraries and highlights and recommendations for places to eat and drink. A few weeks ago I took Sam to Barcelona for a surprise birthday weekend away. I managed to keep the trip a secret until a few days before we left and I didn’t reveal our location until we reached the security gate at the airport. I was so pleased with myself for managing to keep it a secret! I wanted the trip to be extra special so I spent a lot of time researching and planning things to do in Barcelona. Of course, I began my research with my fellow travel bloggers and scoured the blogosphere for blog posts about Barcelona. I read countless guides and blog posts by travel writers and bloggers so I’ve put them together into a handy ‘Travel Blogger’s Guide to Barcelona’. I’ll be writing about my own trip to Barcelona soon but, in the meantime, I hope this helps for anyone else planning a trip to Barcelona! Start by reading Char’s Guide to Barcelona which she wrote for the The Travel Hack last year as this came in particularly handy for my trip! Ben from Driftwood Journals proves that it is possible to see a lot Barcelona in one day! Whether you’re visiting the city for a day on a cruise ship or you’re just short on time, take a look at this guide for a great hourly itinerary for Barcelona. There’s no denying you’d be tired at the end of this 24 hours but you’d definitely be making the most out of the short amount of time you’ve got. Sam and Toccara, from Forget Someday, up the ante with this fantastic 48-hour guide to Barcelona. Giving some great tips of the best things to squeeze into two days in the city. Whether it is the Hop-on Hop-off bus tour or a wander around the Gothic Quarter, they suggest some great additions to your whistle-stop Barcelona itinerary. If you find yourself with a little extra time to kill, look no further than this fantastic four-day guide to Barcelona from Michaela at This FP Planet. 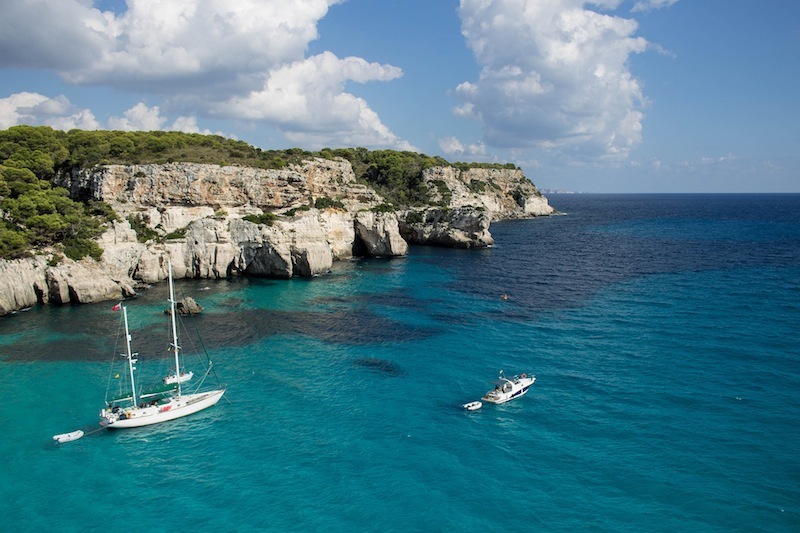 Michaela is a former art student, so as you can imagine, Gaudi and Picasso make an appearance, as do some great eating out tips in this well-balanced four-day itinerary. Barcelona is such a huge and diverse city, the more time you have there to explore the better. Nomadic Matt knows exactly how to maximise your time in the city, putting together this great five-day itinerary for Barcelona, including all of the city’s core attractions, as well as a few less well-known suggestions. Yaya and Lloyd from Hand Luggage Only give you some great sights and attractions to stick on your Barcelona itinerary, giving a comprehensive and diverse rundown to the city’s 22 must-see sights. From marvelling at the famed Sagrada Familia to climbing to the impressive Sagrat Cor, this is a great guide to Barcelona and its highlights. Emma, from Adventures of a London Kiwi, leaves the Big Smoke behind for the streets of Barcelona, as she gives an easily digestible lowdown on the key attractions to visit in and around the city. From famous tourist attractions in the heart of the city, to some lesser-known day trip tips, Emma shares her top suggestions for putting together a varied and rewarding itinerary for Barcelona. Once you’ve exhausted all the usual highlights, check out this post on Barcelona Life for some unusual suggestions and activities you may not have heard about. 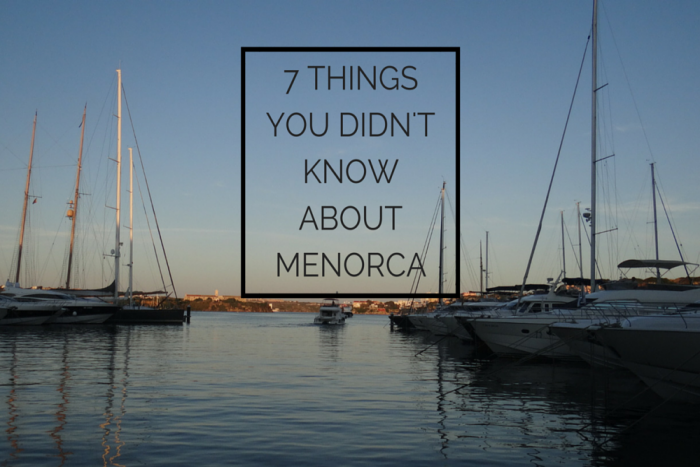 Whether you want to learn to cook the perfect paella, get your kit off on a nudist beach, learn the lingo or learn the art of street photography, Duncan has some great suggestions. Enjoy this in-depth guide to Barcelona’s stunning Gothic Quarter, courtesy of Christine from the Traveloguer. Easily one of the key attractions to place on your Barcelona itinerary, Christine presents a step-by-step guide to exploring the Gothic Quarter, complete with a collection of beautiful photos. Sharing some great information and inspiration for a visit to the Casa Batlló, one of the architectural highlights in Barcelona, Sofie from Wonderful Wonderings gives another top attraction to add to an ever-expanding itinerary for Barcelona, along with some really interest facts about this structure. Giving us another in-depth piece to help us extend our very own Wonderful Wonderings Barcelona guide! This time Sofie shares her experience of climbing Montjuic, as well as advising us on some of the top things to see and do in this area of the city, such as exploring the legacy of the 1992 Summer Olympics. Next on Sofie’s comprehensive guide to Barcelona is arguably the city’s most famous attraction. The unfinished but in no way unremarkable Sagrada Familia is the subject of Sofie’s attention in this article, sharing some striking photos as well as the pros and cons of seeing this much-visited attraction. Saving the best till last!? The combination of the words ‘wine’ and ‘tour’ is reason enough to absorb the in-depth account of Sofie’s experience sampling the produce of the region of Penedés. This one-day activity is a great feature to add to your Barcelona itinerary, for the wine, yes, but also as it is relatively off the usual tourist radar. Where is Nikki this time? In Barcelona! Sharing a fantastic guide to the ultimate entries on a Barcelona bucket list, Nikki discusses what makes Barcelona so special, as well as giving some top tips on how to best experience the city’s premier attractions – not to mention suggesting the place to head for tasty tapas – a great guide to Barcelona. If you’re look for the perfect top 10 things to do in Barcelona guide, look no further than this great piece from Nicola at Polkadot Passport. In this article, Nicola proposes the 10 best things to place on any Barcelona itinerary, as well as giving some suggestions for where to stay in the city and how to best travel around. Duncan from Urban Travel looks to delve into the unknown in the city, presenting this excellent secret guide to Barcelona. 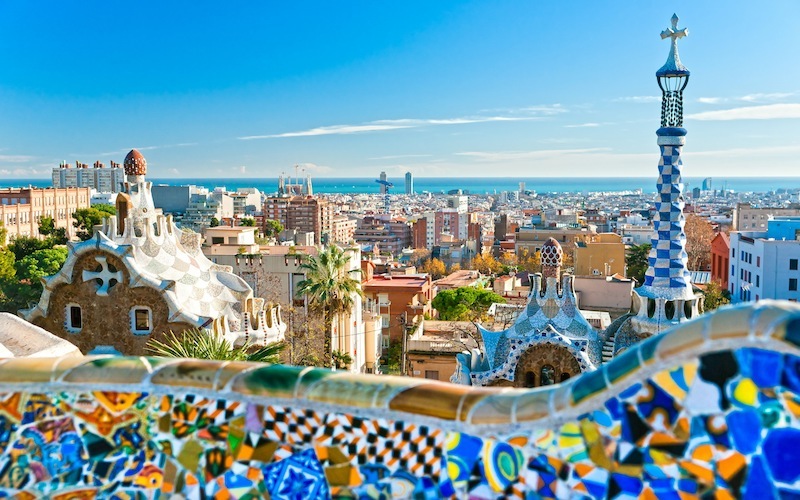 Suggesting some great things to do in Barcelona that are off the tourist map, Duncan lets you in on some of Barcelona’s best-kept secrets – perfect for spicing up and adding some unique variety to your Barcelona itinerary. Short for time in Barcelona and want to make sure you squeeze in the must-see attractions? This great post from Vicky Flip Flop Travels will be right down your street, sharing the five key things to get on that itinerary for Barcelona, including perusing La Boqueria Market and sampling tapas in the Gothic Quarter. While many visitors to Barcelona pay a visit to the Sagrada Familia, a lot of them just admire the structure from the outside. In this article, Vicky Flip Flop Travels explains why you absolutely must brave the queues and pay the entrance fee to head inside the famous cathedral, giving 23 reasons why you should add this experience to your Barcelona itinerary. When scrolling through a guide to Barcelona, you’d be forgiven for spending a good few hours reading up on food! Sampling the flavours of a new destination are hugely important, as recognised by Wanderlust Chloe, who, in this post, discusses her experience of one of the best meals of her life, at Disfrutar in the heart of the city. The Jetset Chick is an expert when it comes to uncovering some of the best treats in Barcelona, and in this article, she recalls the best place to head in the city for breakfast. Brunch & Cake is certainly one to stick on your Barcelona itinerary if you fancy starting the day with a hearty and unique plate of food. From breakfast to hot chocolates, the Jetset Chick shares another of her Barcelona hidden gems – how does thick hot chocolate on tap sound?! Certainly one to pop on any itinerary for Barcelona, a visit to Cafe Foborit is a must for chocolate fans, as this great article so explains. Delivering a detailed and slightly irresistible guide to Barcelona and its wonderful food, Jetset Chick’s piece about eating local cuisine in the city is a must-read for any foodie looking for an authentic and rewarding flavour of Barcelona. If you’re a fan of seafood, it seems you’re in for a treat! Christine from The Traveloguer delivers a detailed guide to the food of Barcelona, from breakfast through to dinner. You’ll certainly find yourself sticking some of these local dishes on your Barcelona itinerary, especially those discussed in Christine’s in-depth tapas section. If you’re looking for some of the best restaurants in the city to stick on your itinerary for Barcelona, look no further than this top 12 article from Hand Luggage Only. Here, Yaya and Lloyd share their favourite restaurants in Barcelona – we’re talking fine wine and Michelin Stars. Jessica, from Barcelona Blonde, is something of an expert when it comes to eating out or going for a drink in the city, and in this mini guide to Barcelona, she showcases some of the best summer terraza bars to indulge in during a visit to the city. This collection of rooftop bars will not only quench your thirst, but also give you some great views of the city. When reading any Barcelona guide, you’ll surely notice that the city takes its tapas seriously. The same can be said for Devour Barcelona Food Tours, who, in this article, highlight 10 of the best tapas bars in Barcelona, promising an authentic, local flavour to experience during a break in the city. Barcelona’s most famous market, and perhaps one of the most famous markets in the world, La Boqueria is a must for any traveller putting together a Barcelona itinerary. In this great piece from La Jolla Mom, you can learn all the ins and outs surrounding the history and make-up of this incredible market, as well as some of the top places to eat inside it. If you’re one with a sweet tooth, Ben from Driftwood Journals has got your back! Presenting a great list of all of the best desserts in Barcelona, from ice creams to cake; this is one guide to Barcelona you won’t want to miss out on – just ensure you leave enough room for dessert after all that tapas! In this foodie post, Vicky shares her story of a unique dining experience in Barcelona with EatWith. EatWith is coined as the ‘future of dining’, bringing together food lovers and chefs in locations around the world. This one in Barcelona, Known as The Hidden Gaudi Experience, certainly looks like something to add to your Barcelona itinerary, especially if Vicky’s photos are anything to go by. A great preparation guide to Barcelona, in this piece Ben highlights all of the things to know before you jet-off to this beautiful city. Explaining the difference between Spain and Catalonia, removing those typical Spanish stereotypes and discussing Barcelona beyond the tourist scene; this is a great read for those prepping a trip to the city. Giving you the chance to step away from the usual touristy must-sees and instead focussing on some of the unknown aspects of Barcelona’s character, Margherita & Nick from The Crowded Planet highlight some great things that first-time visitors would rarely stick on their Barcelona itinerary. Providing another helping hand to those holidaymakers who fancy seeing a side to Barcelona that first-time visitors may turn their back on, this piece from Tourism With Me is the guide to Barcelona that we could all do with reading; one that leads you away from what some may consider as ‘the Barcelona tourist trap’. Silvia, from Heart my Backpack, has written a great journal from her experience in Barcelona with her mum, which she also combined with a visit to Andorra. From admiring Gaudi buildings to sampling delicious food, Silvia’s great photos give some decent inspiration for putting together a Barcelona itinerary, maybe even one featuring Andorra! Beyond breakfasts and wonderful hot chocolates, Jetset Chick has also written a great journal from her time in the city. Doubling up as a personal diary and an informative Barcelona guide, day one of her trip sees her exploring her local area, enjoying some indulgent meals and even squeezing in a nap! If day one of Jetset Chick’s Barcelona journal was all about leisure and relaxation, day two is all about ticking off those must-see sights from her Barcelona itinerary. This full day out included absorbing Park Guell, La Rambla, Camp Nou, La Boqueria and many many more attractions. This journal, written by Paul Laska, is an in-depth three-day account of their experience in Barcelona. Serving as a great guide to Barcelona, Paul describes his route from attraction to attraction, providing some very useful tips along the way, as well as some inspiring photography. Deepika, from Feet on the Map, talks about her first ever experience travelling to Europe, in which Barcelona played an important part. Presenting a good guide to Barcelona for anybody heading to the city for the first time, in this journal she discusses her surprise at the city’s great vegetarian scene, as well as its interesting artistic side. If expense is one of your main concerns during a city break, this budget guide to Barcelona, from Milou of Explorista, is ideal for those who don’t fancy loosening those purse strings too dramatically during their trip. Milou managed to spend 10 days in the city and stick to a budget of 25 euros a day, and with this guide, you can too. Dale and Franca, from Slow Vegan Travel, have gone a step further in reassuring budget-seeking travellers, compiling this great list of 20 free things to do in Barcelona. This is the ultimate penny-pinching Barcelona itinerary, suggesting great things from visiting free museums to admiring street art. If your idea of a perfect trip to Barcelona involves a dose of retail therapy, this great shopping guide from Ben at Driftwood Journals showcases some of the best vintage shops and independent boutiques in the city. Adding a couple of these shops to your Barcelona itinerary will give you the chance to pick up a cool piece of furniture or a swanky set of sunglasses. Catering for those who love a cityscape and some great photography opportunities, Ben uses his local knowledge to produce this guide to Barcelona and its finest vistas. From the marvellous views afforded by the MNAC Art Museum to the vistas enjoyed from the famed Park Guell – Ben has you covered. Whether you’re looking for the perfect Insta shot or the places to capture your holiday memories, Laurence has you covered. Laurence is a fantastic photographer and he showcases the city’s photogenic hotspots with some great tips to get the best shots possible. OMG Monica, so so useful!! I love this idea for a post too. I’ve never been to Barcelona but really want to go soon and will definitely be referring to several of these guides! This is so useful!! Cant wait to be in Barcelona in a few months! Barcelona seems amazing. And it’s always so interesting to see how much you can do there and how everyone experience the city on a different level. Wow so much info here. Thanks so much for sharing. Very helpful! Barcelona is incredible! I loved all the architecture. This is wonderful! Barcelona’s on my list! Will definitely be referring back to this when the time comes! As a fellow blogger from Barcelona I have to say that your site is very complete, interesting and most of all helpful, not the usual accommodation selling place. Thanks so much for your ideas and inspiration. Barcelona is one of my favourite cities to visit. I went earlier this year in February 2017 and my favourite part was “La Sagrada Familia” if you ever go to Barcelona I would recommend visiting this place as you will never see anything quite like it elsewhere! Great guide for the first time travelers to the city of Spain. Your guide to Barcelona is great! I hope to visit all of these places. I’m living here for four months and have started using an app called Sharify to find local events, concerts and restaurants. It’s also great for meeting locals and other travelers in Barcelona!